Thirty years ago today, Singapore hanged Sek Kim Wah for his “thrilling” home invasion murders. Those robbery-murders he got away with in the moment. On July 23, he bid for an encore performance by forcing his way into a split-level bungalow armed with an M16 pinched from the Nee Soon Camp armory. With him was another 19-year-old, Nyu Kok Meng. It was Nyu’s first crime, and events would prove that he and Sek had made some unwarranted assumptions about one another. After forcing businessman Robert Tay Bak Hong and his wife Annie Tay to withdraw bank funds for them, Sek set about replaying his previous crime script by eliminating the witnesses, strangling and bludgeoning the couple as well as their 27-year-old Filipina maid Jovita Virador. Nyu heard the bashing sounds from another room, where he held the M16 on the couple’s 10-year-old daughter Dawn, and Dawn’s tutor Madam Tang So Ha — and he was aghast when he investigated the commotion. Nyu had intended only to steal money, not to hurt anyone. He took his two charges under his impromptu protection, and because of it they both survived to give evidence against him. “Suddenly, the male Chinese who was holding the long gun rushed into our room and locked the door behind him,” said Dawn. Nyu pointed the gun at his head and pulled the trigger … “but nothing happened,” he said. “Frustrated, I put the rifle down.” He fled on Sek’s motorbike as the two souls he saved ran to a neighbor’s house for help. That night, he escaped, temporarily, to Malaysia. Nevertheless, his clemency — or his stupidity, as Sek called it — saved his neck; he caught a life sentence plus caning. Sek would not be so lucky and he seemed to know and revel in it from the moment of his capture, mugging obnoxiously for the papers. “I’ve always wanted to die on the gallows,” he exulted at his sentencing. “It must be thrilling to be hanged.” He’d used that same word — “thrilling” — to describe the experience of committing murder. Seven people were hanged at Tyburn on this date in 1754. For these minor malefactors — six thieves and a murderer, the latter of whom was ordered for posthumous anatomization — we simply cull from the day’s ordinary’s account, and focus on one Eleanor Connor. Arrested in Bristol in 1748, the hanging sentence was moderated to convict transportation. But an indenture to a distant master on the fringe of the New World wilderness was itself such a frightful fate that prisoners were occasionally known to prefer death outright; Eleanor Connor was just this side of such desperation, for she made bold to depart her prison ship shortly after it set sail by hurling herself off the deck under cover of poor weather to be retrieved from the waves by some boats hired by her partners in the underworld. While the Ordinary passes over this extraordinary gambit in a sentence or two, surely such a desperate and dangerous escape has as just a claim on poetic commemoration as any adventure of Turpin. A brine-drenched Eleanor Connor and her friends must have drank off the chills of the sea that night beside an exultant hearth. Here she disappears from the annals of the courts, and hence from the Ordinary’s capacity to track her; by rumor he understands that she has changed her location often and her husbands nearly so much, navigating the margins as a picaro in both England and Ireland. Around 1752 she appeared in Liverpool, making an honest go of it as a chandler. Into her thirties now and having passed through who knows what scrapes in the meantime, perhaps she was considering the limitations a criminal career based on manual dexterity might impose upon her once youth slipped away. But whether due to old habit or the capital requirements of a business startup, she did not yet abandon her diving profession and was caught picking the pocket of a gentlewoman at the marketplace. Once again she was imprisoned, and once again the camaraderie of the criminal caste came to her rescue, overpowering the turnkey on a pretended jail visit and liberating Eleanor. Whatever else one might say of this woman, she inspired the loyalty of her friends: one very much wishes we somehow had a record of her many adventures outside the gaze of the law. Whatever they were, there were not many more of them. Soon after the band had relocated to London, our habitual cutpurse was recognized as a fugitive and taken up once more. It was a simple matter to reinstate her old suspended death sentence from that original Bristol conviction. Most judges are content to inflict their atrocities with a gavel, but on this date in 1578, a magistrate turned freebooter named Kort Kamphues was beheaded at Bevergern. Just a few months before his July 1553 death, Prince-Bishop Franz von Waldeck set Kamphues up for his interesting career arc by appointing him Stadtrichter of Coesfeld. Kamphues’s overbearing presumptions on the perquisites of that sinecure, coming on more than one occasion to physical violence, led other city leaders to petition unsuccessfully for his removal in 1569. But his attempt in 1572 to assemble a mercenary army on the pretext of getting involved in Spain’s war in the Netherlands led to a definitive break with Coesfeld — which tried to arrest him, and then outlawed him when he escaped with his armed posse into the Westphalian countryside. For several years, Kamphues and gang marauded merrily until a clumsy bid to frighten a new Coesfeld magistrate led to an arson attack on the city. Kort Kamphues was captured on June 19, 1578, and tortured into confessing to arson, banditry, and breaching the peace — gaining a permanent place in folklore at the small expense of his head. 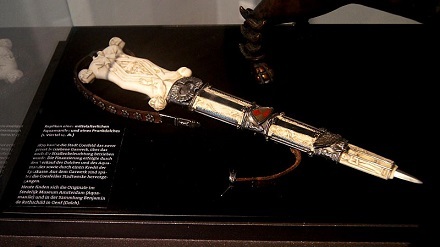 The Kamphues Dagger, a beautiful 14th century artifact later documented in the Coesfeld treasury, is supposed on sketchy evidence to have been captured from this brigand. A replica of the Kamphues Dagger, at the city museum in Walkenbrückentor. (cc) image from Günter Seggebäing. — Douglas Van Vlack, convicted of murder, hanging, Idaho. 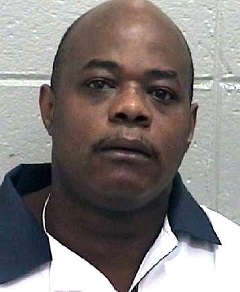 Van Vlack kidnapped his ex-wife and killed her, as well as two police officers. A few hours before his hanging was scheduled, Van Vlack broke away from his guards and scrambled over the cell block to cling to the ceiling rafters. He stayed in the ceiling for a half an hour as his lawyer and the prison chaplain begged for him to come down; he jumped thirty feet below just before the guards entered the cell block with a net. 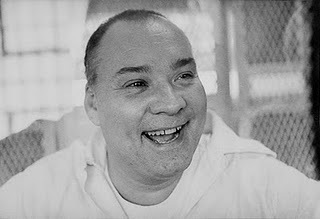 Van Vlack’s hanging was unsuccessful; technically he died the next day, December 10, after a few hours in a coma.